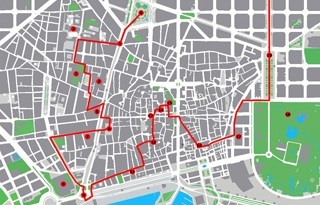 In a city like Barcelona, it is really a great thing that there are a lot of fountains because when the day is hot, everyone will thank to be able to refresh with cool water and some are really beautiful or funny so following, my 7 wonders. 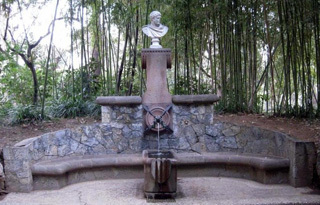 The catalan genius fountain (pla de palau). It is really a beautiful work done by Fausto i Ángelo Baratta in 1856 and it can be watched on the video clip of Shakira for the song “loca”. The fountain is to pay tribute to the industry, the trade, the navigation and the science and dedicated to the general Bernaldo de Quirós. You will spot also 4 statues of women representing the catalan provinces. The umbrella lady fountain (passeig pujades 10). Located inside the ciutadella park, this charming fountain is a work done by Joan Roig Soler for the 1888 universal exhibition. If you take a careful look, you will see that the umbrella is a special one dedicated to protect against the sun which was used in the past by aristocrats and the lady is dressed according to the fashion of the 19th century. 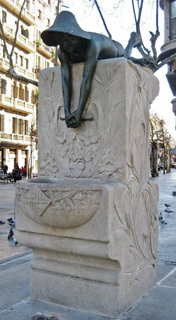 The child and the frog fountain (avinguda diagonal 389). Done by Josep Campeny i Santamaria in 1912, the base is made of a stone of Montjuic and you will see some nice drawings on it. Laying above it, there is a statue of a child smiling because he holds a frog serving as a spout and they are made of bronze. 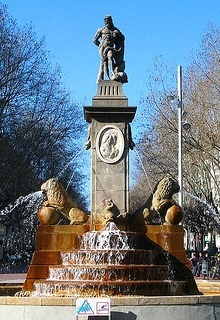 The hercules monumental fountain (passeig sant joan 149). Constructed between 1796 and 1802 by Josep Moret, there is a representation of Hercules standing on a pedestal on its top and below him, there are 2 nice lion statues spitting out water. If you are wondering about the marble medallions, they portray Charles IV and Maria Luisa. 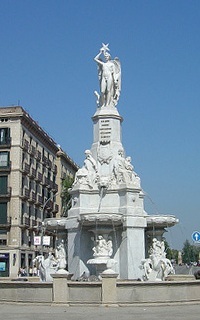 The hercules fountain (avinguda diagonal 686). This one is situated inside the garden of the pedralbes palace and it is a work by Antoni Gaudi Cornet dating from 1884. 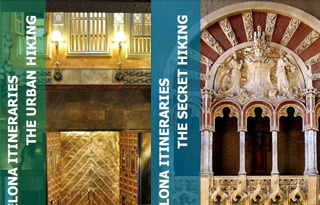 You will discover the bust of Hercules, the 4 sticks of the catalan flag and a nice spout with the form of a chinese dragon. The diana fountain (gran via de les corts catalanes 664). Inaugurated in 1919, this work is done by Venanci Vallmitjana dedicated to the goddess Diana. 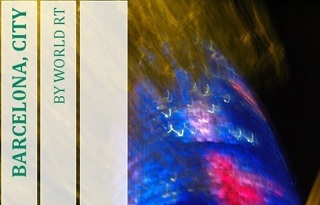 Originally, she was naked but the City Hall censured and substituted it by this actual one. Moreover, the base was bigger but due to the street, it was reduced. 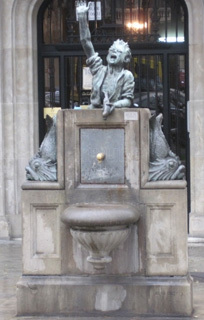 The fisher kid fountain (avinguda diagonal 455). This fountain is very funny because it expresses the joy, you will see the bronze statue of a child laughing very loud because he caught a fish in his left hand and on both sides, there is a statue of newt made of bronze too. 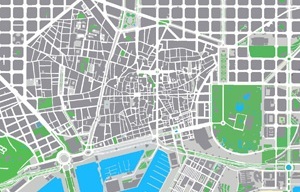 The work is done by Josep Manuel Benedicto and inaugurated in 1947.